Saturday Place is a beneficiary of one of the city’s most exciting culinary experiences – CHILL. On November 8 at 6:30, our supporters and friends will have a unique tastemaker experience with the city’s top restaurants and amazing wines from around the world. 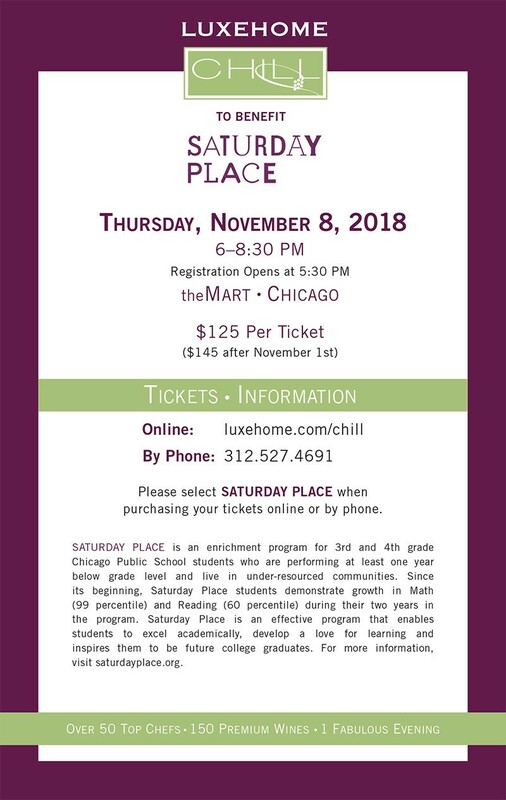 Secure your tickets today and help make this a great fundraising event for Saturday Place!